The lunging aids Easy Lunge has winning on December 2015 the Trophées de l’Innovation du Salon du Cheval de Paris (Innovation Trophy). Designed and patented by Frédéric Brégetzer, and sold by Antarès. This lunging system gives the horse the freedom he needs to work thoroughly, without constraint or pressure. 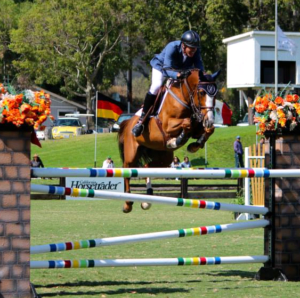 As a result, this system improves your horse’s movement, balance and topline. It is a user friendly system that requires no specific set ups. Available on this website ! In 2015, Antarès has won the Emergence Price of Business Company – Positive Companies Trophy ! They win the World Cup ! 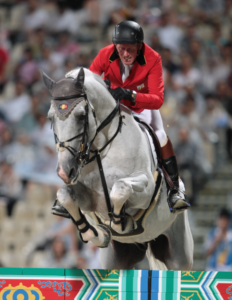 Rich Fellers and his faithful Flexible won the World Cup ! World Champions in Lexington ! 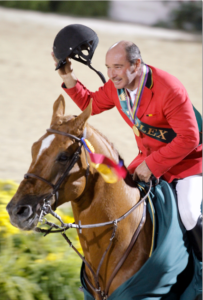 Philippe Le Jeune and Vigo d’Arsouille became world champions in showjumping in Lexington with an helmet and an Antarès saddle ! En 2008, Antarès est labellisée “Entreprises du patrimoine Vivant”. 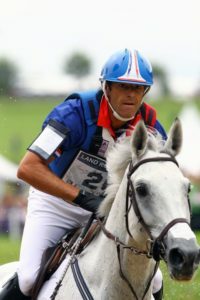 Our partner Cédric Lyard is olympic champion with eventing French team during Athen Olympic Games with Fine Merveille.